"I saw Dan destroy an audience of 3000 people last year. I was one of them. I'd never seen or heard of him before and he was just brilliant!" "There is a damn good reason Dan Sperry is in the world's largest, best selling touring magic show right now. He's that good!" 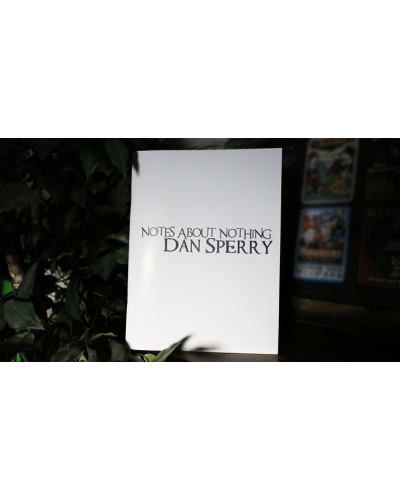 "Dan Sperry has done something we seldom see in magic. He has created a unique character that makes him stand out among all other magicians. His show is terrific. And he is a really nice guy!" 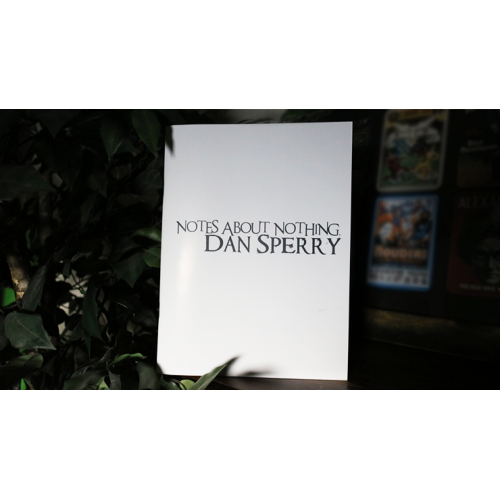 "Dan Sperry is one of the TOP magicians working today! His magic is original, professional, and unique! From professional stage magic and ideas, to close bizarre effects. This guy does it all! I'm happy to know him as a fan, and even happier to call him a friend!" Dove From Sketch Pad: Direct from Dan's award-winning dove act that has taken him around the world, you draw a simple outline drawing of a bird on a spiral notebook. Then tear off the paper and a live dove is produced from the paper. It is self contained and can easily be made at home with the appropriate materials. He will show you everything you need to know to put it together. And if producing a dove isn't your style, he will teach you how to substitute different objects to produce from the paper. Go Eat Worms: A throw back to Dan's days as a full-time Kids and Family show magician. Take a bag of candy Gummy Worms and hand a few out to your audience, or let them pick their favorite Gummy Worm and give it to them to eat. You have one person think of their favorite worms to eat and you will turn the entire bag of Gummy Worms into that flavor. The spectator is asked to hold their hands open and, as you dump the bag of Gummy Worms into their hands, they transform into real live earth worms. Recently featured on Justin Flom's Block Party YouTube Video. Made In China: Borrow any bill of any currency of any denomination and cause an image/watermark of anything to appear printed on the bill when it is held up to the light -- much like how many currencies have hidden faces and magnetic strips in them that are only visible when held up to the light. This will allow you to reveal anything such as playing cards, words, symbols, etc. But when the spectator tries to find it, the image has vanished. Self-Inflating Balloon: Perfect for any variations from popped and restored balloon to just causing a balloon to inflate on its own in a silent manipulation routine, clown show, kid show, any time desired. Two versions and a plethora of ideas utilizing these two methods are shown and discussed. Graffiti Balloon: Take a can of "spray paint" and spray a balloon to have it instantly change color or pop and transform into a silk, or produce a dove or beer bottle, etc. Dan teaches you how to construct a simple gimmick to deliver the method to have a balloon pop on your command without having to even touch it, as well as endless possibilities and various presentation ideas. Cookie Cutter: A game of Russian roulette with a razor blade and several sandwich cookies. These lecture notes are perfect for the beginner to professional and are guaranteed to contain something new and different for any performer!